The celebration of Kwanzaa has been an important tradition in my family for several years. In this article, I will discuss its historical development in my own family and why I believe it to be a significant milestone in the reclamation and restoration of African and African American history and culture. My wife and I moved to Freeport, New York soon after we were married. It was in this integrated community where our two sons, Steven and Mark, spent their early years. Although they got along well with their white friends, we knew the day was soon coming when we had to prepare them for entrance into a society that does not always treat black boys with kindness and fairness. It was during this period that I began to look for a vehicle for exposing them to the richness of African and African American history and culture. I knew then, as I do now, that one of the strongest buffers against racism is to be grounded in our culture and history. New York has a large Jewish population and I observed how readily Jewish people were able to weave Jewish Culture and history into the fabric of their daily experiences. The Jewish children in my community would attend the synagogue on a weekly basis to study their religion and to have consistent exposure to their history and culture. My son Steven once told me that he never met a Jewish kid who did not know his history. What stands out most in my mind were the Jewish holidays where several times a year Jewish people gathered to renew themselves and to celebrate their ethnic identity. The New York City Public School System, the largest school organization in the world containing in excess of one million children, would close down because the Jewish teachers would not work on those days. I remember the year that Sandy Koufax, the star pitcher for the Brooklyn Dodgers, refused to pitch in the world Series because of the Jewish holiday. 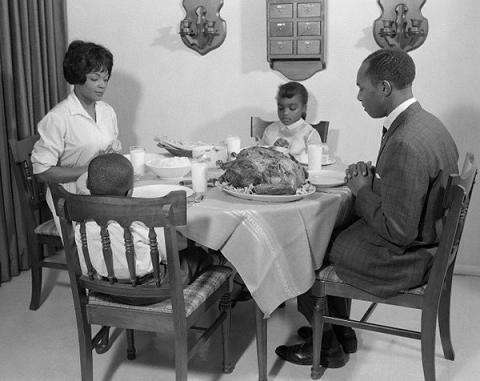 I often asked myself what holidays or rituals do African Americans have that preserve our cultural traditions and remind us of our historical contributions to the development of the world? I rejoiced several years ago when I stumbled across Dr. Maluana Karenga’s book on Kwanzaa. I like the fact that Kwanzaa is celebrated during the holiday season but begins the day after Christmas so as not to conflict with the Christian celebration of the birth of Christ. It provides a refreshing spiritual departure from the materialism and commercialization of Christmas that unfortunately dominates the holiday season. The celebration of Kwanzaa emphasizes fasting, as opposed to drinking and overeating. Gift giving is centered around providing educational gifts and presents that are hand made. The Kwanzaa holiday is rooted in the harvest celebrations of ancient African civilizations. It is centered around the seven principles of the Nguzo Saba which have been carefully designed to strengthen the development of African American people. The first year my family celebrated Kwanzaa my two sons were very excited about the festivity. We would light one of the candles each night and talk about the seven principles. We always placed special emphasis on applying the principle of the day to the growth and development of our own family. When we discussed unity (Umoja) we would talk about how to create greater unity in our family. We would emphasize the importance of family and stress that our strength depended on us sticking together and supporting each other. In our talks on self determination (Kujichagulia) my wife and I were able to accentuate the importance of self determination in accomplishing our goals. We continued to practice this by allowing our children to have input in family decisions. I still remember how surprised the builder of our home was when we allowed our children to examine the building plans and to actually make some minor changes in the layout of their bedrooms. Collective work and responsibility (Ujima) was the principle that always got me into trouble. It was here that we discussed family roles and responsibilities. My wife and my children were always quick to remind me when I was not always consistent in my household chores. Beware brothers, clean up your act before the celebration! A discussion of cooperative economics (Ujaama) provided the opportunity to discuss the importance of managing money. The significance of circulating money in our own community was underscored by taking my sons to an African American bank to open up a savings accounts on this fourth day of Kwanzaa. When we explored creativity (Kuumba) we were able to converse about the importance of creating for ourselves and looking for creative solutions for life’s challenges. We often practiced this principle by developing creative ways for the celebration of Kwanzaa. Some of the activities that we developed were the introduction of African proverbs as discussion topics and the creation of an African and African American history game. When the family examined the principle of purpose (Nia), we often explored the following questions: Why were we put on this earth? What is our purpose in life? What are our God given talents and how are we spending our time developing them? This was always a good time for all us to examine our own priorities and to develop a renewed focus. The last day of Kwanzaa is devoted to the notion of faith (Imani). It was a time for our family to thank God for blessing us and for renewed spiritual development. We would end the celebration of Kwanzaa with a renewed spiritual strength to begin the new year. The celebration of Kwanzaa with friends, family, and my extended family has provided us with some very special moments over the years. It has helped our family to grow spiritually and in closeness. It has also given my children a strong foundation in establishing their identities as young African American men. 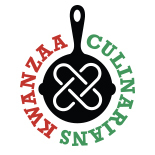 Lets make Kwanzaa a family tradition! Dr. Vernon Allwood is a retired professor from the Morehouse School of Medicine. He was born in New York City and now lives in a suburb of Atlanta. He is a firm believer that the progress of any group is rooted in the traditions that reinforce and preserve their historical legacy and cultural values. Bren has been cooking Latin and fusion cuisine for 18 years, and professionally for 8, having developed a passion for entertaining at an early age. Cooking for friends and family has always fascinated her and brings her much joy. In 2008 she launched her critically acclaimed food blog, Flanboyant Eats™. The blog’s popularity has landed her TV gigs appearing with Emeril Lagasse, a private stodge and demo with Chef of the Century, Joel Robuchon and continues to do TV having recently appeared on CNN Español, reaching over 30 million viewers. Bren is a full-time private chef, food and travel writer, having written food columns for LATINA Magazine, Dean & DeLuca, Cuisine Noir and has been published in various print publications covering culinary trends, restaurant reviews, global cuisine and excursions. She’s been featured in Black Enterprise, The Washington Post, Daily Candy, The AJC and other notable publications. This is a very interesting post. As I wrote in my comment for Christina’s post, I didn’t know much about Kwanzaa except that it happened around Christmas and was celebrated by many African Americans. Thank you, Dr.Allwood, for explaining the holiday and showing how you and your family celebrate it within your own home. I think the principles of Kwanzaa could certainly be practiced by all. This entry was posted on January 1, 2012 by Bren Herrera in 2011, Imani, Kujichagulia, Kuumba, Nia, Personal Story, Ujamaa, Ujima, Umoja and tagged African American, Dr. Vernon Allwood, family, history, Imani, Kujichagulia, Kuumba, Nia, Ujamaa, Ujima, Umoja.